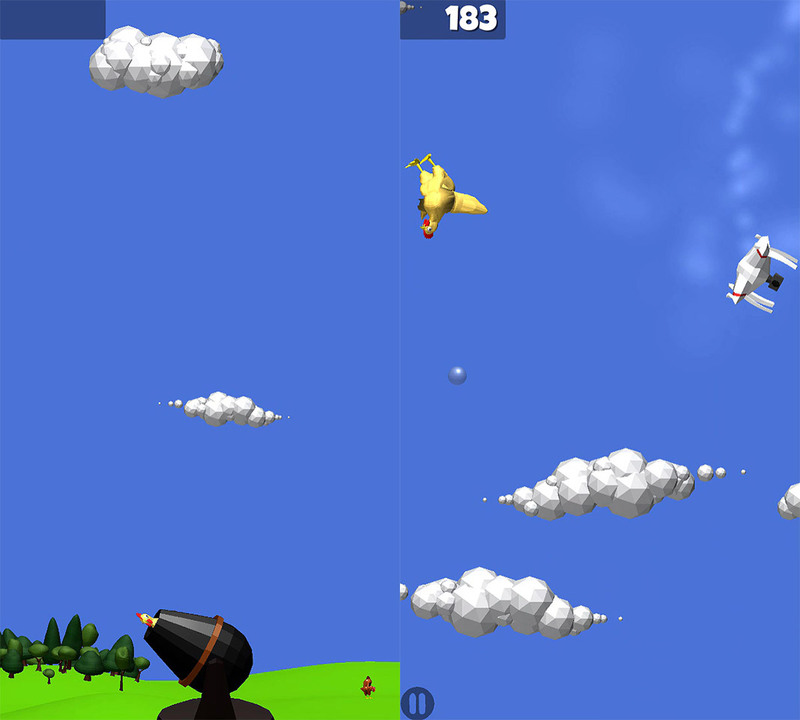 Flappy Bird made a huge impact in the world of videogames and ChickenPOP! just might be the next big thing to take its place. We’ve been witnessing the conveyor belt of arcade games trying to be the next Flappy Bird for a long while now. The idea is to find the perfect balance between simple controls and a difficult gameplay in a way that convinces players that they need to play just one more time…over and over again. ChickenPOP! seems to be striving toward the same goal, and although we don’t know if it’ll reach it or not, what we can be sure about is that it’s a great game that’s worth trying out. In this case, they’ve swapped the legendary Flappy Bird for a chicken. Your mission is to get your chicken as high up as possible. 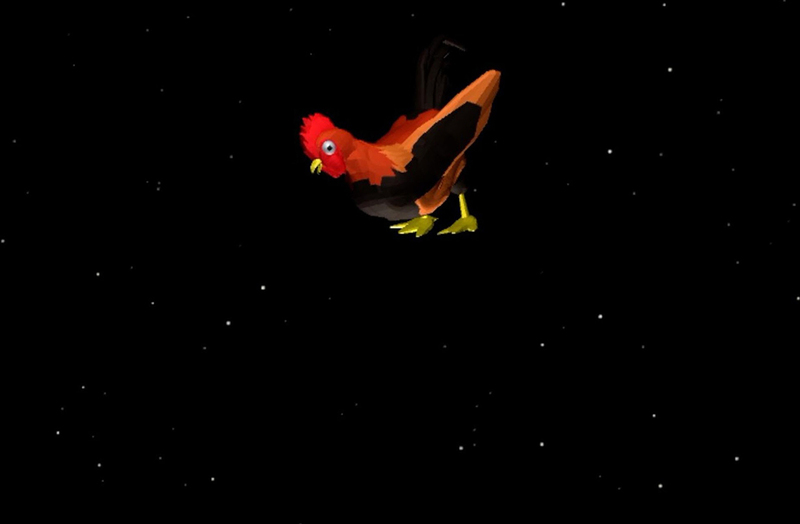 And since chickens aren’t the best fliers, you have to help it to continue rising by placing bubbles on the screen. You place these bouncy bubbles wherever you like by simply tapping the screen where you chicken will fall on them and bounce off. Of course, this would be a lot easier if it weren’t for the drones, other birds, and other pesky objects getting in your way all the time. This arcade game is fun in and of itself, given the whole bubble-based survival idea. But it’s ragdoll physics engine and low-poly graphics really give it a humorous touch that make for the wackiest experience. Plus, ChickenPOP! 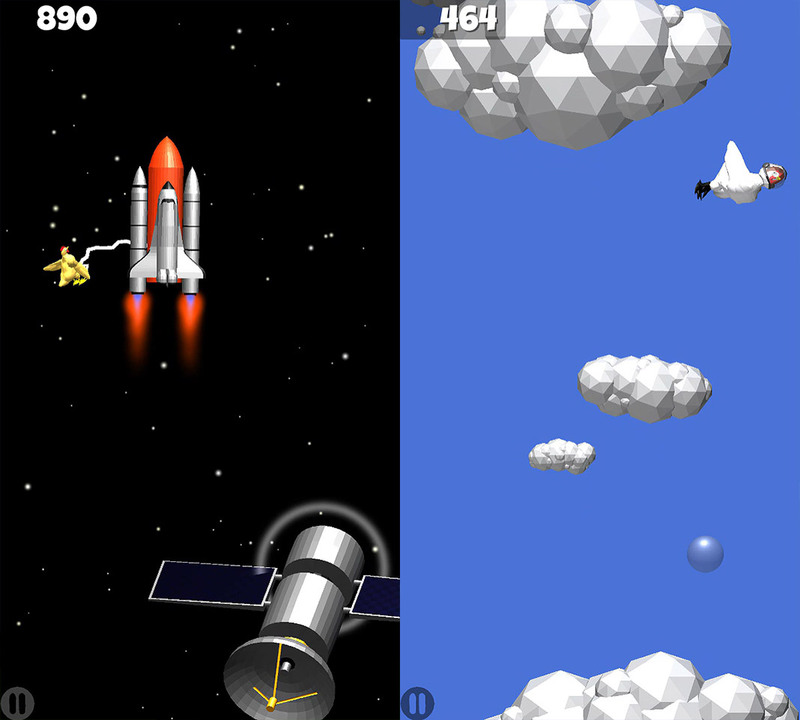 has a few surprises up its sleeve: if you get high enough, you’ll enter into outer space where you can play in a completely different mode. And best of all, there are even more surprises to discover as you get higher and higher. Check out our gameplay video if you want to find out more. We’re not sure if ChickenPOP! is the new Flappy Bird or not. And honestly, it doesn’t really matter that much: ChickenPOP! is a fun and addictive game all on its own and it doesn’t need to become the new anything in order to make a name for itself. Although it hooked us with its absurd development, we have to admit that it doesn’t work all that great on older devices: the game has a hard time starting and there’s a pretty bad lag. It’s a shame for anyone who owns an older smartphone.